Male Thread x Slip. 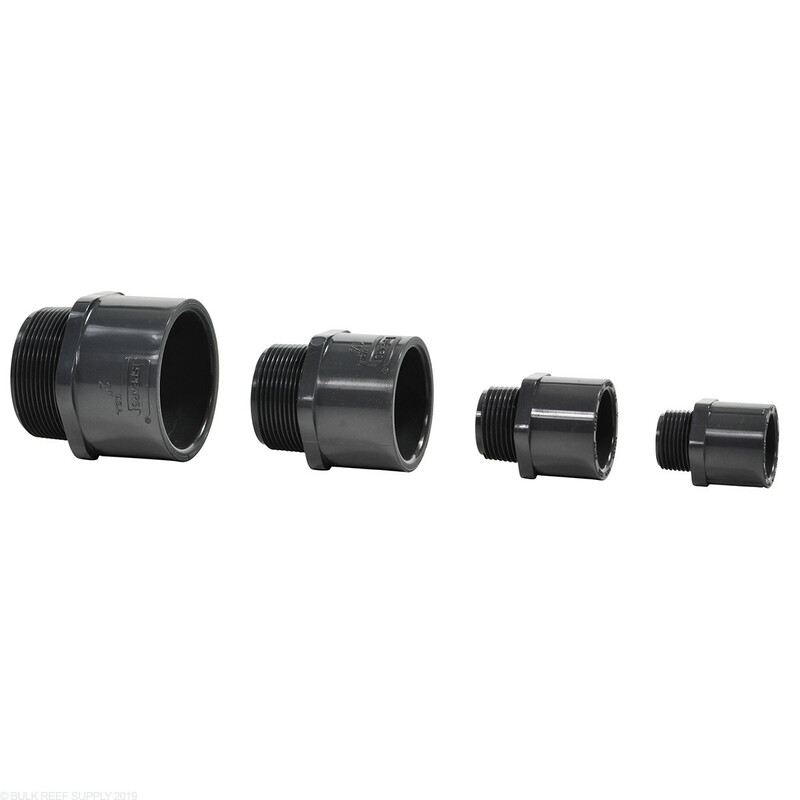 PVC Pipe Adapters for your plumbing needs. 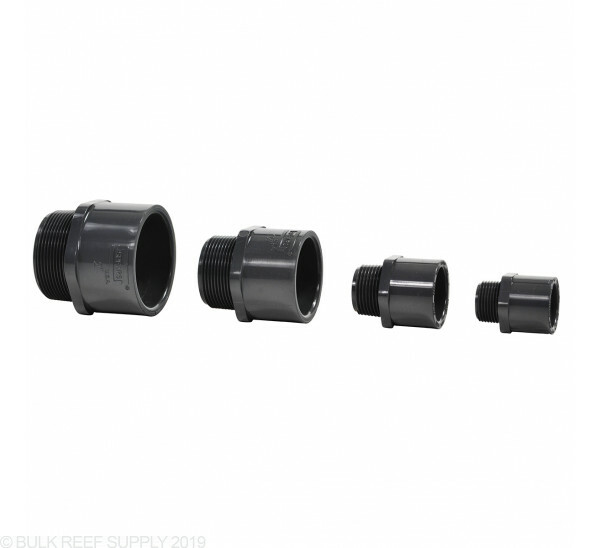 Use Male Pipe Adapters when a transition from a threaded female fitting to the pipe is necessary. Common applications include pumps, sumps, and bulkheads. More professional look than white Schedule 40 PVC. solid construction , fits well with other schedule 80 parts. I used this adapter to connect another adapter on my return pump to increase the size of the return pipe. Very well made as is all sch 80 parts. Nice solid part "MADE IN THE U.S.A". Good customer service. If I buy a 1 inch slip and thread Bulk Head will a 3/4 inch male adapter fit? Can I get a 3/4" schedule 80 male thread x 1" slip to join a 1" pipe? We do not have one fitting, however this can be made with 3 separate fittings. I have included them below. Feel free to let us know if you have any further questions! Hi, which one fit into 1” Bulkhead Schedule 80 thread, and fit a 1" PVC pipe? If you have a 1” bulkhead and 1” PVC then you will want to use a 1” PVC Pipe adapter. PVC utilizes nominal sizing which means that 1” pipe will work with all 1” fittings even though you may not be able to find a true 1” diameter. The same is true for all other sizes of PVC. What is Male Threaded Adaptor? This would be a fitting that is slip on one side and threaded on the other. Commonly used when you have a pipe that you want to connect to something with female threads. Can I use a schedule 80 adaptor on a schedule 40 pipe? Sch80 and 40 with fit and glue together just fine.